We all love the classic sweetness of a warm, creamy bowl of oatmeal. However, what about some savory recipes? While it might sound strange, it is definitely worth a try! Here are some savory oatmeal recipes that will satisfy your taste buds in just the right way and give you the energy and nutrition you need for your busy day! This oatmeal is the perfect mix between an egg and oatmeal breakfast, with a healthy twist. The delicious mixture of oatmeal, spinach and egg fills you up and gives you a nutritious breakfast to keep you going all day long. Heat oil in a medium skillet over medium high heat and cook onion until tender for 3-4 minutes. Stir in oats for 1 minute. Reduce heat to medium and stir often for 8 minutes or until oats are tender. Remove from heat. Stir in 3/4 cup of cheese, 3/4 teaspoon of salt and 1/4 teaspoon of pepper into the mixture. Spoon 1/4 cup of oats mixture into 4 serving bowls. Top with 1/2 cup of spinach and 1 egg poached or fried. Sprinkle remaining salt, pepper, cheese and chives evenly over the top. Who doesn’t love the spicy aromatic flavors of Mexican cuisine? 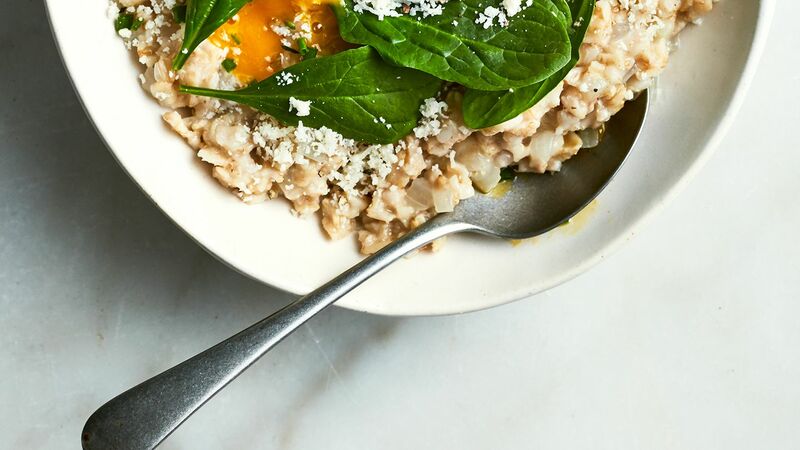 This oatmeal can be a great breakfast, but who’s to say this can’t be a perfect lunch or dinner? It is a delicious and versatile twist on your classic breakfast oatmeal. Heat oil in a pot and add garlic. Cook for 15 seconds. Then, add oats, taco seasoning, paprika, lime juice, water and salt to taste. Simmer for a few minutes or until oats are cooked and the mixture has thickened, which will be about 3-4 minutes. Add more water until you reach the consistency that you prefer. 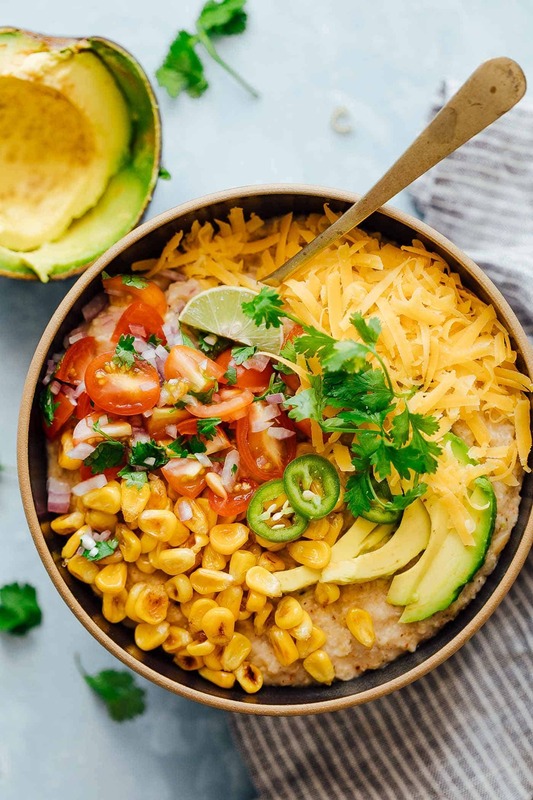 Serve in a bowl and top with corn, salsa, avocado, cheddar and jalapeños. This next oatmeal is healthy and extremely flavorful with its mixture of spices and vegetables. This is a hearty meal that can be eaten at any time of day and is sure to give you energy and brighten up your taste buds as well. Drizzle oil into a medium pot. When the oil is heated, add cumin seeds and let them sizzle for a few seconds. Add vegetables, 1/2 teaspoon salt, turmeric and cumin power. Mix and cook for about 1 minute. Add rolled oats and mix. Then, add water and the rest of the salt and bring to boil. Bring heat down to medium and let mixture simmer for 3-4 minutes or until oats are cooked and a creamy consistency. Serve and top with freshly ground black pepper to taste and a hard boiled egg.